Should I feed my soft corals? I have zoanthus, palithoa, cladiella and mushroom soft corals in my 10g tank. I have never fed my corals. Yesterday, I have received a free sample of Nano Reef Coral Food fom Ocean Nutrition. Should I feed my corals with it? If so, how often should I do it? And how should I do it: should I just put it in the water or should I target feed them somehow? I dont feed mine except the orange sun polyps that have to be target fed. The other corals get all they need from the lighting and water column. 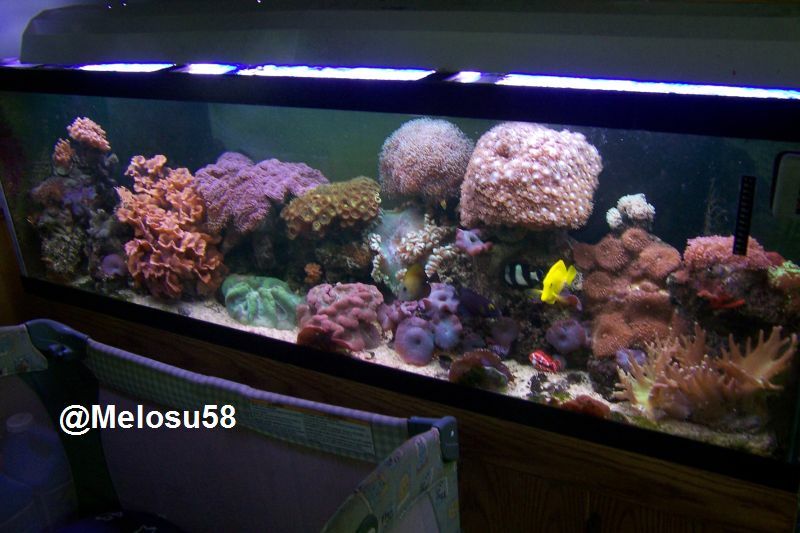 Alot of my corals are over 10 yrs old so I must be doing something right. 'Search' the forums as I know I've touched on the subject a couple times including what to feed. I used to feed my palys and zoas when I was bored--it looked cool when they closed up over some food. I noticed that they grew a lot faster when I fed. I had some slight phosphate issues so I stopped feeding altogether, and they all still did just fine.